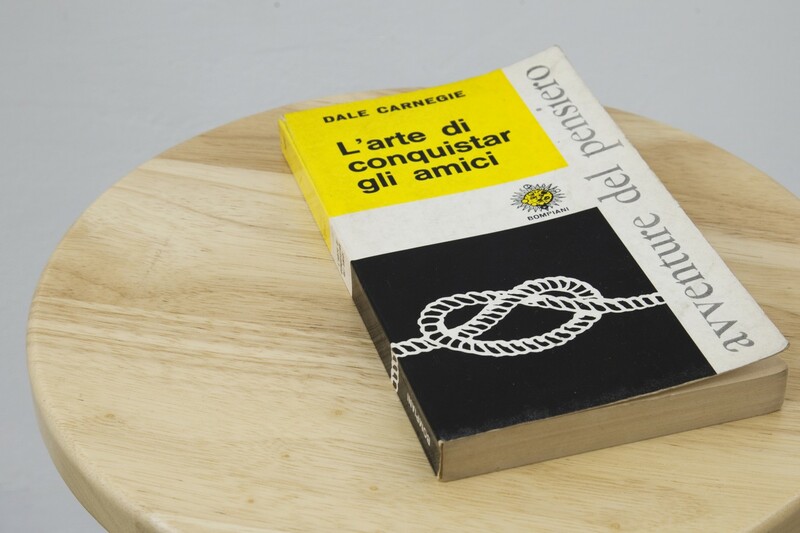 The starting point of the exhibition is Dale Carnegie’s seminal self-help book, How to Win Friends and Influence People, which the artist read with a genuine interest in learning how to engage the world more effectively. Despite his initial skepticism, which stemmed from Carnegie’s patronizing tone, the artist was shocked to discover that the book’s central tenets were both solid and instantly recognizable within American business culture. This is not to say that the tips outlined in How to Win Friends did not exist before the book was published in 1938, but rather that Carnegie codified and thereby legitimized them. How to Win Friends encourages the reader not to respond from the gut. Instead, the text supports the notion that we can and should manipulate our social identities at will. Despite Carnegie’s advocacy of sincerity, the successful individual he imagines is capable of shelving immediate desire and withholding judgment in order to gain the trust and control of peers. ‘Love actually’ is inspired by the strange reality that How to Win Friends has enacted, a reality in which desire is disconnected from action and the prerogatives of the self are overwhelmed by the imperatives of self-image. 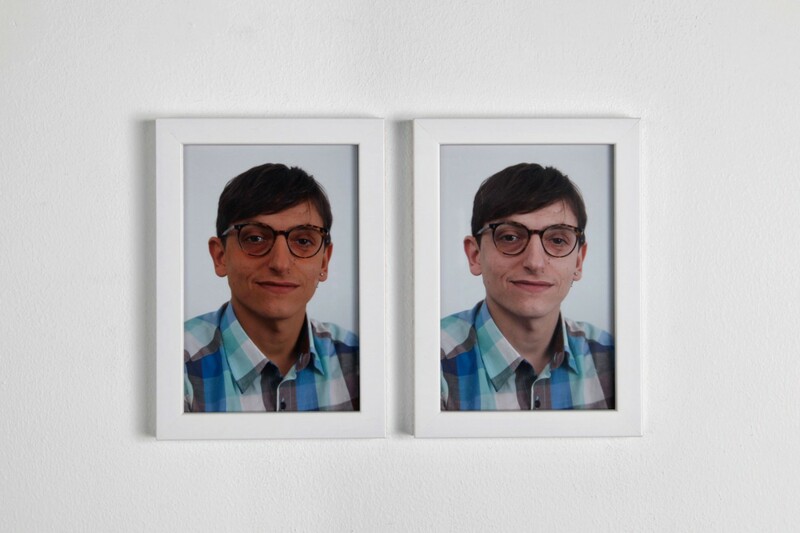 The exhibition comprises three parts. The first, a reading room, offers copies of the Carnegie text to be perused, flanked by portraits of the artist and the gallery staff with simulated tans. 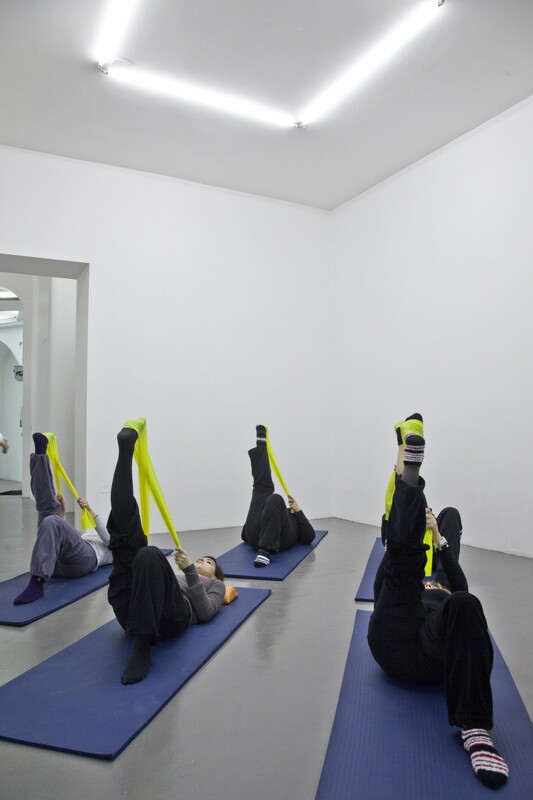 In an adjacent room, a free Pilates class is offered to gallery visitors every Friday for the duration of the exhibition. 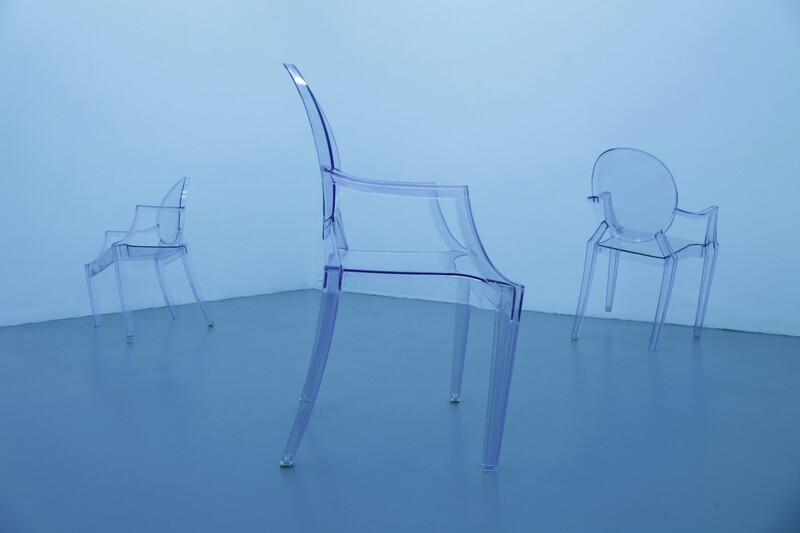 In the third and final room, the overhead fluorescent lights have been replaced with UV tanning bulbs, and are complemented with a series of modified Philippe Starck chairs. 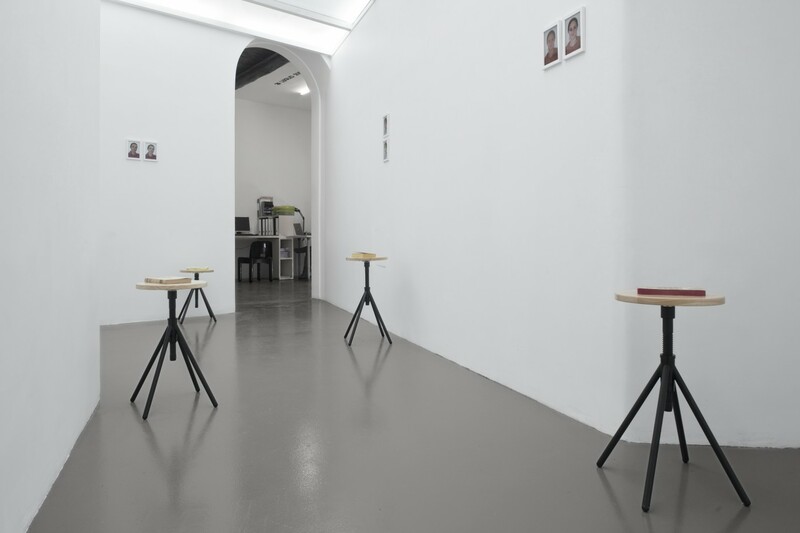 Recontextualized, the objects and rituals presented transform the exhibition into a site of learning – prompting genuine self discovery for a few (the artist, the Pilates class, the gallery staff) while providing a critical and reflective backdrop for others.